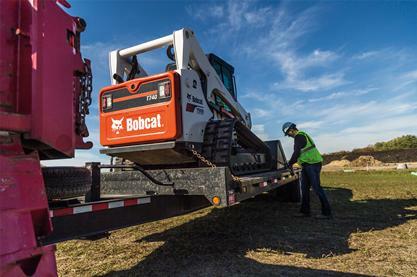 Your compact loader is used in a variety of applications with numerous attachments, which means you’ll likely be transporting your machine jobsite to jobsite. But, transporting your compact track loader involves several steps that shouldn’t be overlooked. Follow these four hauling techniques and the recommendations in your Operation & Maintenance Manual to safely haul your equipment. Before transporting your loader, make sure the transport or towing vehicle is of adequate size and capacity for the weight of the machine and attachments being transported. Most loaders can be transported on a standard trailer; however, if you are transporting oversize loads, you will likely need a larger trailer with a larger weight rating to handle the load. A transport’s or vehicle’s load rating can be found on its identification plate or in the Operation & Maintenance Manual if you are unsure how much you can safely haul. All states and local municipalities have regulations based on gross vehicle weight rating. Load ratings vary in each state, so always check federal, state and local laws and regulations regarding weight, width, length and height of a load before transporting your machine. Special approvals or permits may be required for oversize loads along your planned route. Once you have identified the right transport vehicle, you can begin to load your equipment. 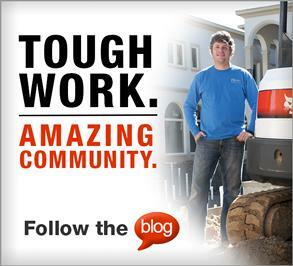 At this time, check to make sure mud, sand and any other debris are removed from your machine before loading it. Check that the trailer is parked on firm and level ground. Secure the parking brakes and block the wheels of the transport vehicle. Use ramps that are the correct length and width and can support the weight of the machine. Disengage the auto idle feature and move the two-speed travel to the low-range position. Travel up the ramp with the heaviest end up when you are loading the equipment onto the trailer. Once your loader is on the trailer, lower the attachment to the floor of the trailer and stop the engine. All doors and covers should be locked before transport. Chocks, cradles, wedges or other blocks should be placed in front of and behind each track or wheel to prevent rolling or shifting during transport. Then, install tie-downs at the front and rear tie-down positions, as identified in your Operation & Maintenance Manual. Most manufacturers recommend at least four tie-down positions to prevent any movement. Some transport devices have D-rings, chain slots or built-in strap rails that allow you to easily connect your machine to the trailer. Always use the recommended connection points and securements to minimize damage. 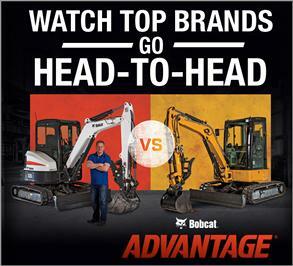 At this time also inspect the tie-down points and tie-down equipment used to secure your machine. All pins and connection points should be secure and the hooks still functional. If you see any cracks, stretches or fatigued links, remove the tie-down equipment. 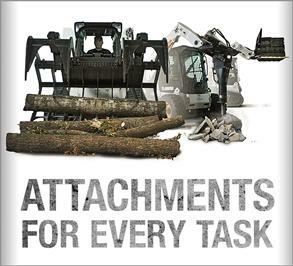 Whenever possible, the attachment should be connected to your loader before transport. If that isn’t possible, set the attachment on the trailer so it can be secured by chain straps. Buckets and other attachments should be properly secured to the transport device. If your loader is equipped with hydraulic attachments, make sure the hoses are routed in an orientation where they are not interfering with the machine on the trailer. For instance, hoses should not be laying underneath the machine, located in the way of a tie-down or connected where they could become disengaged. Following these steps and all instructions in your Operation & Maintenance Manual will help minimize issues the next time you transport your equipment to a jobsite. Get more information on manuals available for your specific machine, including loading information and machine specifications.